Honesty time: we are currently in the throes of my very least favorite time of the year. I won’t go so far as to say that I hate this two-month span from mid-January to mid-March (after all, I don’t allow Charleston to say the word hate, so I probably should exclude it from my own vocabulary as well); so let’s just say that I very strongly dislike it. The season has a lot working against it: Christmas is a distant memory, the luster of the New Year has begun to dull, the days are cold and dreary, and spring seems like it may never arrive. Throw in my own March birthday (of which I’m not a fan) and you have the makings of a very gloomy Kendra. For years I was caught off guard by my winter blues. Now, in my mid-thirties, I’m more aware of the seasonal shifts in my moods and energy levels and am able to anticipate and prepare for these dreary episodes of mine. This season may never be one in which I thrive, but I have definitely learned how to survive the days until the sun comes out again. A practice that has helped me make the most of this rough time of year is taking stock of what is “saving my life” when life feels hard. I took my cue from Modern Mrs. Darcy to make my first “Saving My Life” list back in 2015, just weeks after Charleston was born, and that list is such a great time capsule of life during the newborn days. Four years later, life looks entirely different for me, but I’m still making Saving My Life lists—sometimes here on the blog, and sometimes just in my personal journals. In reflecting on what is saving my life in February of 2019, I can’t help but be grateful for the numerous life hacks, tools, people, and routines that are working well for me right now. Every one of the items on last year’s SML list is still in heavy rotation, as well as almost all of the tools and hacks that were working for me last summer. Quite a few of the favorites listed in my 2018 Highlights would also fall under the umbrella of “saving my life.” In addition to that abundance of riches, here are eight more things that are keeping me afloat this winter. Some are significant, some quite small, and every one of them is deserving of appreciation. 1. Toddler pants with interior adjustable waistbands. This first item is proof that sometimes, it really is the little things that make all the difference. Charleston has a very small frame and tiny waist, which makes it difficult to find pants that fit: they are either sagging at his waist (we’ve learned that belts really don’t work when you don’t have hips), or they fit in the waist but barely reach his ankles (hello flood pants!). In the past year, Old Navy’s karate skinny jeans have been a lifesaver for us. They are slim-fitting, which is perfect for Charleston’s thin legs, and the adjustable waistband cinches as tight as we need it to go. Plus, they are durable and inexpensive. Since they’re really the only pants that work for us, we own them in several fabrics and washes. Moving from the trivial to the significant: I was a part of a MOPS group when we lived in California, but didn’t immediately join one when we moved to Texas. 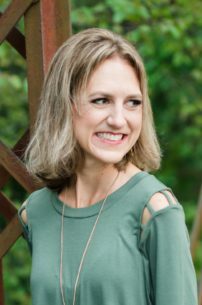 Then last winter, my friend Skye told me about a MOPS group she was starting with a friend; I wasn’t sure I had space in my calendar for another group, but recalling my previous positive MOPS experience, I decided to take her up on the invitation to join. It was one of the best decisions I made all year! Through MOPS, Charleston and I have made some great friends, discovered some awesome new playgrounds and other play places, and enjoyed being a part of a community. We love attending monthly meetings and weekly playdates with our new friends, and the monthly book clubs have been a great opportunity for me to spend an evening out with the girls (and remember that my boys are just fine fending for themselves one evening per month). 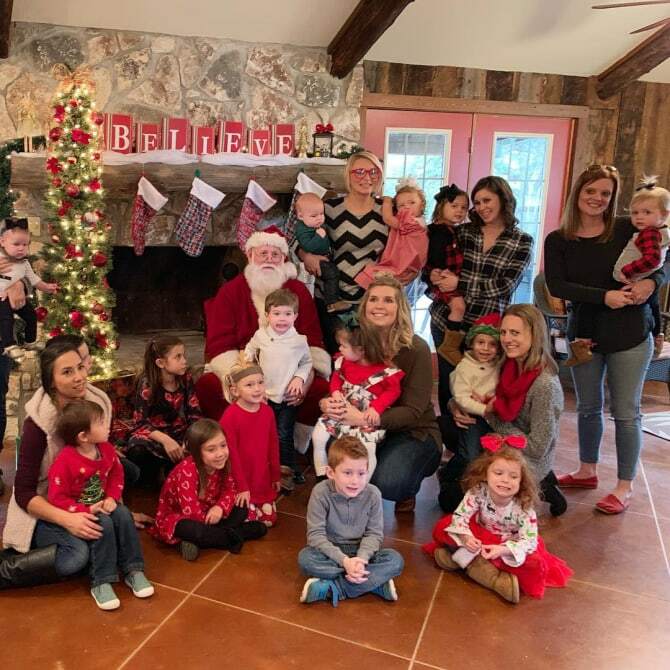 The group has been a source of fun and fulfillment for our family, and a great place for me to feel supported and encouraged in my motherhood journey. 3. Look and Find picture books. Until a few months ago, Luke worked from home and we all three ate lunch together every weekday. Now that Luke works from a coworking space and isn’t home until dinnertime six days per week, Charleston and I are on our own at lunch and usually sit at the kitchen island instead of at the dining table. With this new dynamic, Charleston had been wanting me to read to him while he ate, but I found it was too hard for me to read aloud and also eat my own food. So we’ve started checking out image-heavy books (such as Look and Find books, I Spy books, and Where’s Waldo) from the library to look at while we eat. We just prop the book up in front of us (a paper towel holder works great for this) and spend time looking together as we enjoy our food. The books provide us with a little diversion during lunchtime, but unlike screens, they aren’t so distracting that Charleston forgets to eat. 4. A solid evening routine. We’ve struggled for years to find a good nighttime routine with Charleston, and after quite a bit of trial and error, we’ve finally settled on one that works really well for us. Luke gets home from work each day around 5:30 and plays with Charleston while I walk Arlo (if we haven’t already gone a walk that day), shower, and make dinner. We eat dinner as a family around 6:30, then clean up the dishes, feed Arlo, turn on the Rumba, and head upstairs. Luke gets into the shower while I help Charleston brush his teeth and undress, then Charleston hops into the shower with Daddy. When they’re done bathing, Charleston gets into his pajamas and we spend a few minutes reviewing the day and adding marbles to his jar for each thing that went well. This is followed by a blessing and prayer time as a family. Then Luke goes to get ready for bed while Charleston and I read a few stories together, snuggle a bit in his glider, and sing some songs. Once Luke is ready for bed, Charleston joins him in some nighttime exercises, then they turn on some music and fall asleep together, usually around 9:00 (give or take half an hour). Is it ideal that Charleston still won’t sleep in his own bed? Not really. Do I miss getting one-on-one time with Luke at night? Of course. There’s a lot about our routine right now that isn’t perfect and that I would have been critical of prior to becoming a parent. But I know that it’s temporary, and for now it’s a routine that is serving us well. 5. Late-night reading in bed. 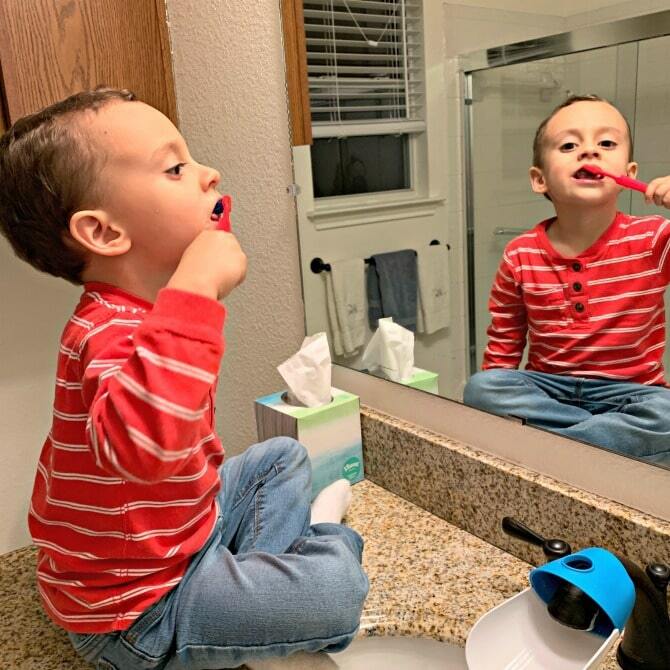 Since my boys go to bed early, and I’m a natural night owl, I usually have a few hours to myself in the evening to take care of housework or get some writing done. Lately, I’ve been rushing through my evening tasks so I can head to bed and read! I snuggle under the covers, with Luke and Charleston asleep next to me, and read on my Kindle until I can no longer stay awake (sometimes that’s five minutes, other nights it’s a full hour). I can’t begin to describe how comforting it is to have my boys sleeping peacefully beside me while I engage in my favorite hobby. This has become one of my most treasured times of the day, and I’m not sure why I haven’t always done this! These aren’t a new discovery for me, but our most recent Chatbooks just arrived in the mail, so they’re on my mind! Every year since Charleston was born, I’ve used Chatbooks to create a book of our family’s Instagram pictures. 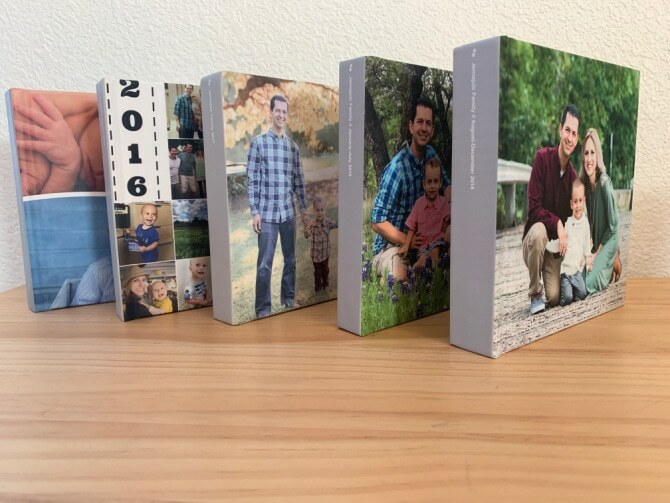 I’m not a scrapbooker and rarely print off photos, so these books are a great option for preserving our family’s picture memories. I’ve gotten into the habit of spending New Year’s Day making the previous year’s album, and it’s a fun way to celebrate a new year while reflecting on the past one. Since I’ve gotten better at posting to Instagram more regularly—and because Instagram now allows albums—I had twice as many pictures to include this year, so we ended up having two albums for 2018 (a “problem” I’m happy to have). I love that these books get our pictures out of the cloud and onto paper. We keep them displayed in our living room, and Charleston enjoys looking through them and reflecting on our family memories. My goal for the coming year is to include more reflections and “Charlie-isms” in my Instagram captions so they make it into our books. I got a new iPhone a few months ago, and my favorite feature of the new operating system is the Screen Time tracking. I can now easily keep tabs on how much time I’m spending on my phone, and specifically how often I use various apps. The reports aren’t always accurate. (For instance, when I have Google Maps running in the background, it’s counted as screen time—even though I’m obviously not looking at the screen. Same goes for when I’m cooking from a recipe app but only occasionally glancing at my phone.) Despite these drawbacks, the reports are enlightening and have been holding me accountable to minimizing my screen time. My biggest phone-related goals are 1) for Kindle (i.e., reading) to be my most-used app, and 2) for texting (i.e., personal communication) to exceed social media time. With these aims in mind, the Screen Time reports have helped me double my Kindle time, send more intentional texts to friends, and cut out almost all social media (I now only go onto Facebook and Instagram to post my own pictures and check notifications). My overall screen time is also declining, a trend I’m quite happy with. 8. My 2019 Bible reading plan. I’ve saved the best for last! 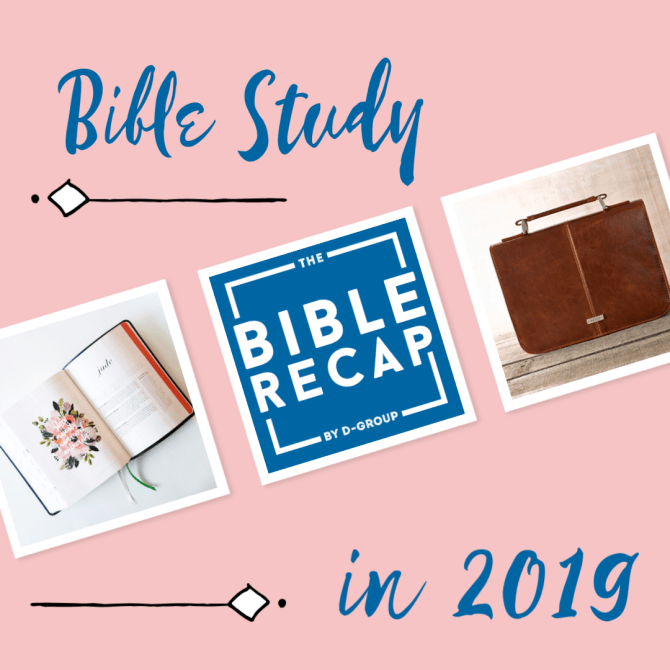 As part of this year of Abiding in Christ, one of my goals is to read through the Bible, cover to cover, in 2019. To stay on track I’m following a chronological plan along with The Bible Recap podcast, which is a daily five-minute discussion of that day’s reading. To give myself a little more motivation this year, I’m reading in my new She Reads Truth Bible (which is fantastic). I even bought myself a new Bible cover and some Bible highlighters and am taking notes in a new journal I received as a Christmas gift. God’s Word is beautiful and enticing all on its own, but these new tools have me more excited than ever to dig into Scripture this year. Luke is reading along with the plan as well, and it’s great to be able to discuss our takeaways over dinner each night. I’m only a month in, but the Lord has already taught me so much in just these few short weeks, and I can’t wait for all that is ahead in the next eleven months of study. What is saving your life this winter? I’d love to hear about it! 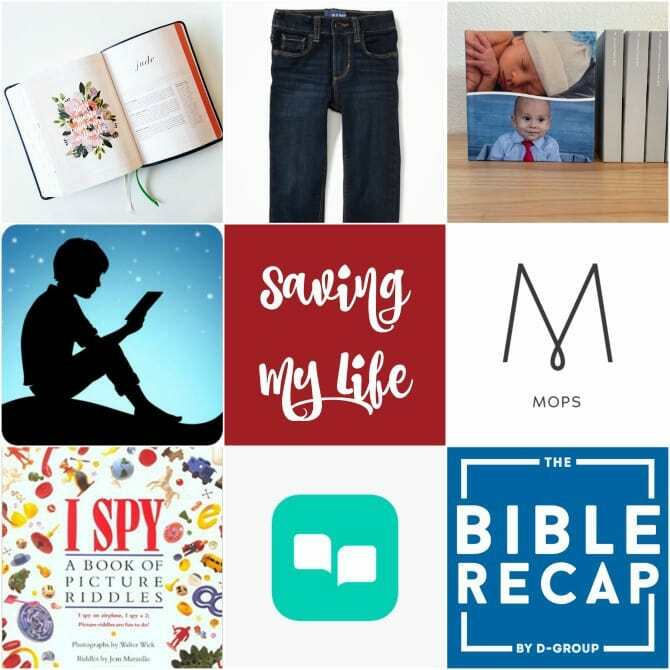 I’m also linking up with Modern Mrs. Darcy, where writers from across the internet are sharing what is saving their lives right now. Head over there for more life-saving inspiration!